It was a typical hot, humid July day in the working-class town of Belleville in northern New Jersey, one of those days when everyone has their windows open hoping for a breeze. The girl next door saw a dull looking car pull up and two soldiers step out, then walk to the house next door. A knock echoed in the distance, then the pierce of a mother’s wails. The sound the girl next door would never forget. Pfc. 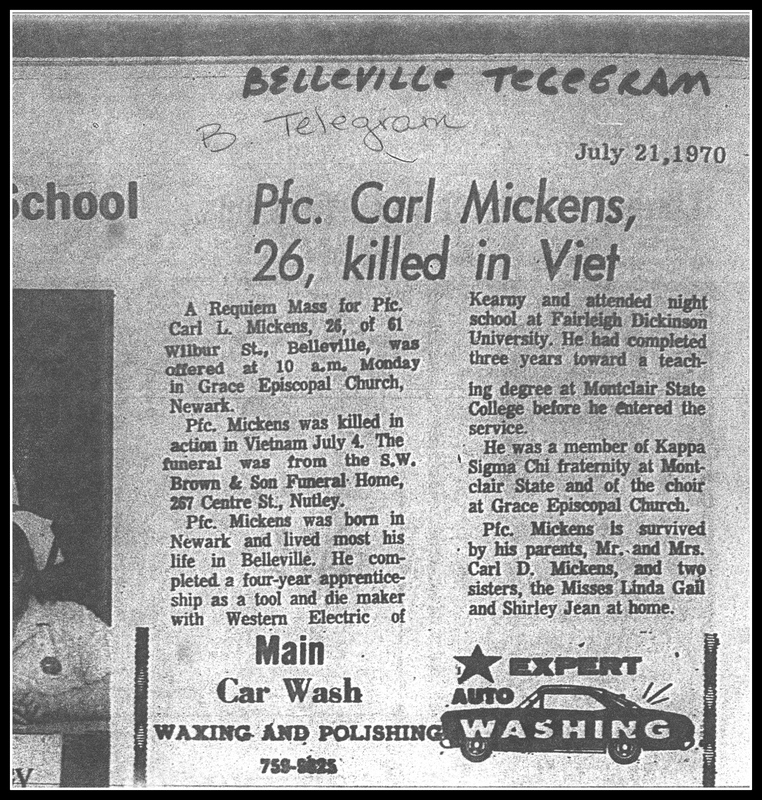 Carl Lawrence Mickens, 26, son of Carl D. and Mary Ruth Mickens, 61 Wilber Street, was killed in action in Thua Thien, South VietNam on Saturday, July 4, 1970. Private Mickens lost his life in a booby trap explosion while he was on military mission, according to a telegram the soldiers delivered in person to his parents. A lifelong Belleville resident, Carl attended School Seven and was graduated from Belleville High School in 1962. He completed four years of apprenticeship as a tool and die maker at Western Electric Co., Kearny, and planned to be a vocational high school teacher. 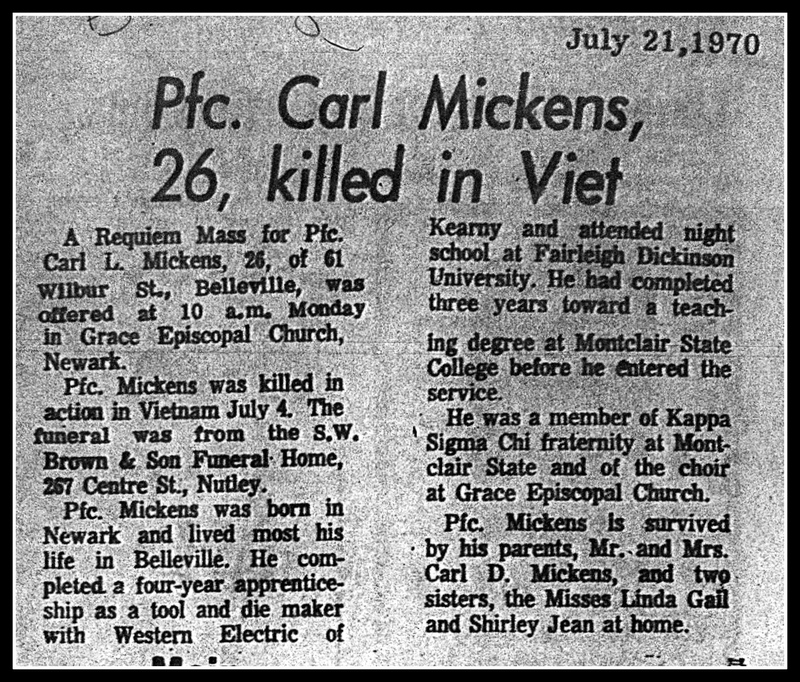 Before he was drafted into the army in July 1969, he attended night school at Fairleigh Dickinson University, and completed three years toward a teaching degree at Montclair State College where he was a member of the Kappa Sigma Chi fraternity. As the older student in the frat, he was chosen to mentor the young pledges. While in-country, Mickens, shared the realities of the the Army and war he faced every day. Fellow fraternity member Dave Bryer, who went on to teach history for decades, shared with generations of his students the intimacy of Carl's realistic reporting of the war. 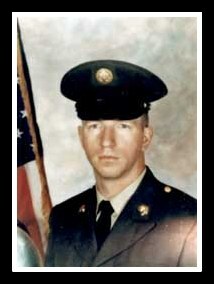 "He planned to finish college after his discharge from the service next year," Carl D. told the local newspaper. "He hoped to put his experience as a tool and die maker, and his teaching degree, to use as a vocational high school teacher." Pfc. Mickens completed basic training at Ft. Dix, then took advanced training at Ft. Lewis, Wash., and Ft. Benning, Ga., and by April 1970, Pfc. 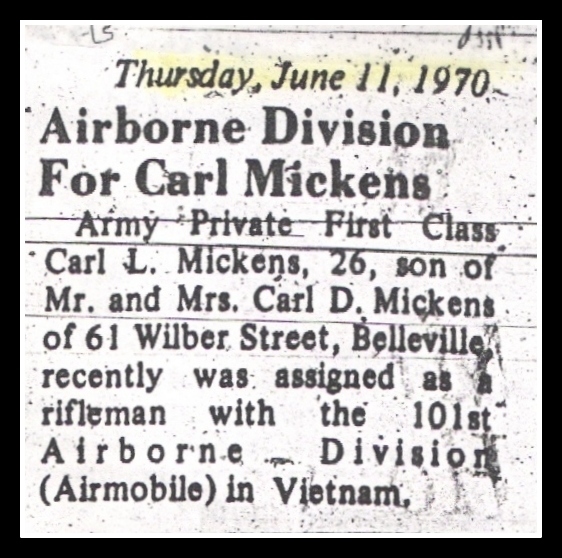 Mickens was assigned as a rifleman in the 101st Airborne Division and in Vietnam. "He was a good soldier and took the problems of war in stride," his father said. "He really did not want to go to Vietnam, but when the word came through, he went cheerfully." Mickens, who was promoted posthumously to corporal, leaves his parents and two sisters, Linda Gail, and Shirley Jean, both at home. The funeral was from the S. W. Brown and Son funeral home, 267 Centre Street, Nutley. Mass was offered in Grace Episcopal Church in Newark where Carl had been member. He is buried at Glendale Cemetery alongside his parents. I knew Carl Mickens more from Grace Church, Newark, on Broad St., next to City Hall. Also knew him in school. He was a very nice person but felt more comfortable in church as an altar boy than in school. In church he was in his element. Some of the classmates thought he was a loner, but he was just a shy young man. I wish I could help you more. He and I got along very well and I truly liked him as a person who would go places, but God had other plans for him. RIP, Carl. 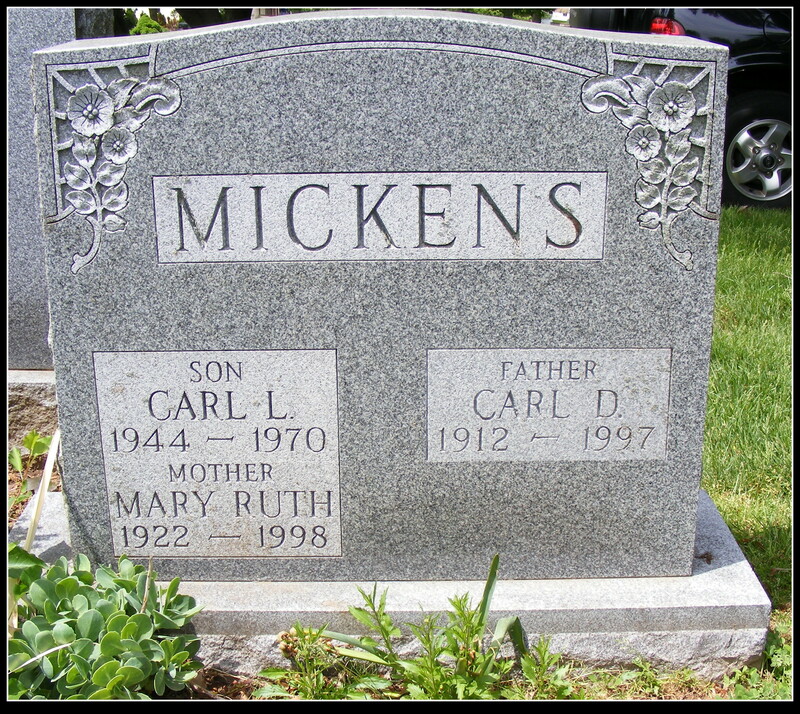 Carl Mickens, Crestwood section of Glendale Cemetery, Bloomfield, N.J. The Belleville Times, Belleville, N.J.
Joralemon St. at Wilber St.
Watchung Ave. at Cross St.